To my esteemed colleagues, the Honorable Members of the Sanggunian Panlungsod, other fellow workers in government, my fellow women lawyers and advocates for women and children’s rights, friends – good afternoon. I rise today for the first time ever to address this august body not for myself but for a few hundreds of advocates all over the Philippines – who are shocked, disheartened, and worst, terrified of the news of the brutal murder of our fellow advocate, a young but courageous women’s rights lawyer, a soft-spoken and prayerful wife and mother of three, and a staunch proponent of many legal reforms in our legal and judicial system. Atty. Arbet Sta. Ana Yongco, of LAW, Inc. or the Legal Alternatives for Women, Inc, in Cebu, was gunned down by an unknown assailant in her home last October 11, 2004. I share in the grief of her husband, Atty. Filemon Yongco and join the National Network of Family Violence Prevention Programs, and the Gender Watch Coalition of Negros Occidental as they salute Atty. Arbet Sta. Ana Yongco today. While we are in this hall, at 3 o’clock in the afternoon today, thousands of women rights advocates and supporters gather in the Cebu Capitol to rally for Arbet including our former Councilor Celia Flor and other Bacolod lawyers. 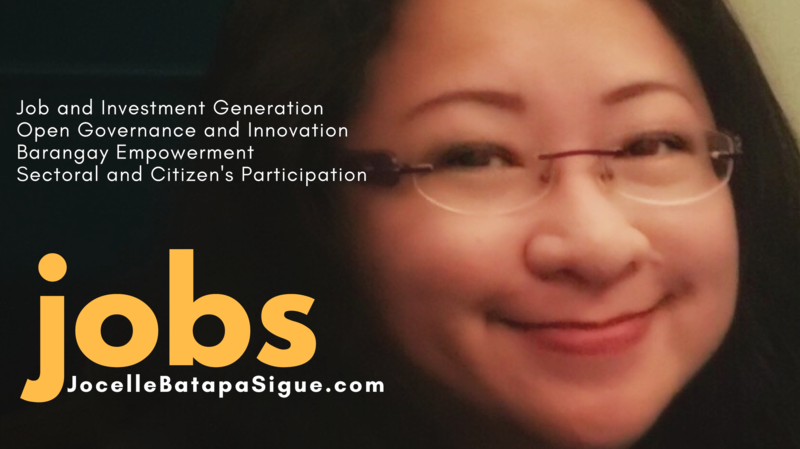 I met Arbet thrice, one in Cebu when we were trained as lecturers by LAW, Inc, for the D-A-W coalition project to lecture about Republic Act 7877 or the Anti-Sexual Harassment Act of 1995, then in Bacolood at Business Inn a couple of years ago, when she lectured about RA 7877 and then in Manila, where we had a national congress sponsored by TUCP, where she guided us in proposing amendments to the Anti-Job Discrimination Law. I am sad to hear the news of her death not only because I knew her but because deep in my heart, I know that there are only a few members of the legal profession that share Arbet’s mission. There is no money in lawyering for abused women and children because most of them are economically incapable, one of the common reasons why they are susceptible to abuse. But we cannot just sit and watch because government’s role is to protect her citizens especially those who are incapable of protecting themselves. That too, I firmly believe is also the role of the legal profession. In my almost eight years as a lawyer, I have devoted my profession to the cause of abused women and children but like most of them, there are many times when my courage waivers and my enthusiasm wanes – as I see in the eyes of these women and children that disillusioned look. They are disillusioned because many groups and public officials challenge them to report, to come out in the open, and to be not afraid to tell their stories – but only to end up without a lawyer to help them achieve justice. And if there are lawyers, these lawyers become slaves – working, spending their resources, and risking their lives for these hapless ones. That is why there are a few takers, after all lawyers have to eat, too. But if only government should realize that the world could never be a better place when half of its population is still suffering from violence and abuses. I challenge the Sanggunian Panlungsod to support all programs geared towards the emancipation of women and children from the culture of violence both domestic and external. I challenge the administration of Mayor Bing Leonardia and this Sanggunian Panlungsod to give the 5% Gender and Development or GAD fund where the same is due and that the GAD Council be convened for the purpose of finally creating a comprehensive GAD Plan for the City of Bacolod. In fact in this aspect, we were rated with a “ZERO” for implementation by the DILG last year because while there are many laws and ordinances for women and children – these laws and ordinances were not accordingly implemented. As chair of the Committee on Women and Gender, head of the USLS Women and Children’s Legal Desk, and a member of the Gender Watch Coalition, I propose that this administration publish a guide for GAD workers containing all the laws on women and children, especially the recent ones like the Anti-Violence Against Women and Children Act of 2004, the Anti-Trafficking in Women and Children Act of 2003 and the Worst Forms of Child Labor Act of 2004. The printed guide shall also contain all the ordinances so far passed to protect women and children and enforce their rights as well as a comprehensive databank of all NGO’s and government agencies working for women and children. Through this and through many other projects, we can strengthen our barangays against family violence. Finally, I ask the people of Bacolod to support projects geared towards the protection of women and children. On November 29 to December 10, 2004, we will once again mark the 16 Days of Activism Against Gender Violence and at the same time, the year 2005 has already been declared by the president as the year of the feminist movement to mark the centennial year of the feminist movement in the Philippines. With these, I give due recognition to the lady lawyers who are here and who, young as they are, unselfishly devote their lives to the mission of Arbet. If the mastermind of this dastardly act thinks that by killing Arbet he has cowed her fellow lawyers and advocates, he is mistaken. Arbet’s dreams did not die at her funeral, and it is a fitting celebration of her life and work that we continue defending women and advocating for their rights, and work for reforms in the legal and judicial system. Arbet’s brutal murder in her own home shows how law and order is but an an empty phrase for criminals who roam freely in our county today. The five shots the murderer mercilessly fired on Arbet’s head and body were shots also aimed at our system of democracy and the rule of law. Lawyers, judges and people in the media are being killed because they courageously questioned the culture of corruption, criminality and social injustice. To our fellow advocate, Atty. Arbet Sta. Ana Yongco, this may be farewell to you but your life will continue to inspire us to move on despite all the difficulties. After all, at the end of the day, we will not be remembered for the life we have lived but for the lives we have touched and inspired in our lifetime. Thank you and good afternoon.